The Red Hot Chili Peppers are stepping into the studio once again to begin recording a new album… and soon. 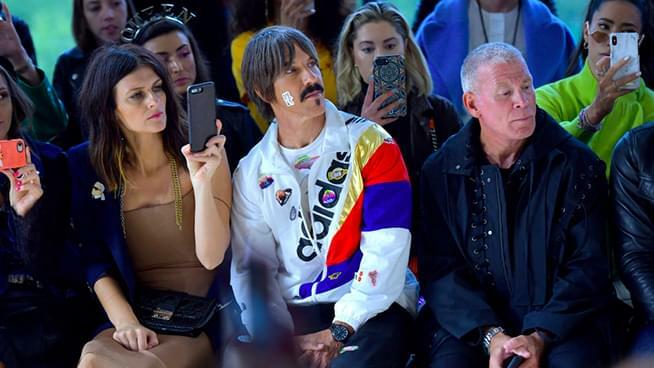 Anthony Keidis broke the news to the New York Post during a New York Fashion Week interview, adding that they plan to hit the studio within two weeks. The upcoming album will be the band’s 12th overall, and third under their current incarnation that includes Keidis, Flea, Chad Smith, and Mark Klinghoffer. The band’s last album, The Getaway, was produced by veteran producer Danger Mouse (Black Keys, Gorillaz, Adele, Portugal. The Man, etc.) making it the first Red Hot Chili Peppers album not produced by Rick Rubin since 1989. No word as of yet on who the producer of the upcoming album, but it will certainly be interesting to see if the band sticks with Danger Mouse, goes back to Rubin, or tries out a new producer entirely. The Getaway included the smash hit “Dark Necessities” that became the band’s 13th No.1 single on Billboard’s Alternative chart and became only the fourth song to reach No.1 on Mainstream Rock, Alternative, and Adult Album Alternative charts at the same time.